Hi you guys! I'm back from my 'vacation' and I'll be responding to all the comments on my scheduled posts soon. A few weeks ago, HauteLook had a sale on LORAC products that I was really excited about. I had hoped to see a certain palette and lo and behold- it was on sale! 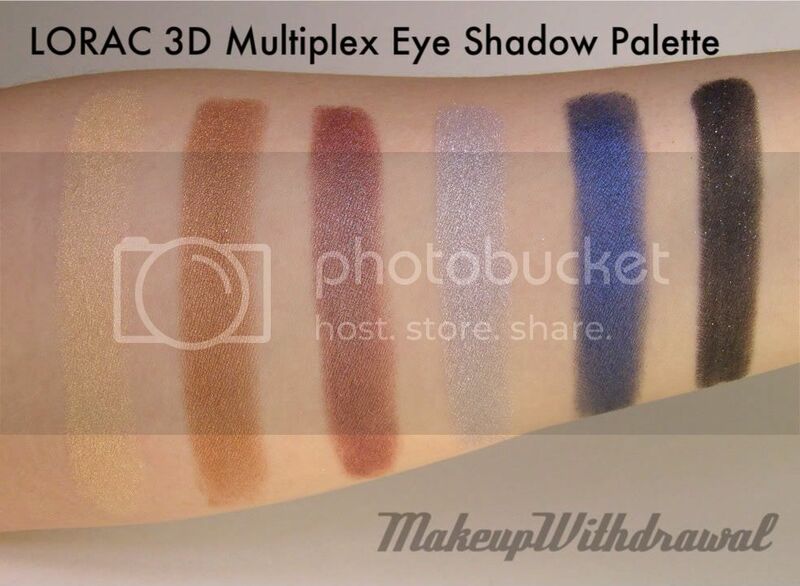 For $12 I was able to score the LORAC 3D Multiplex Eye Shadow Palette that I had craved greatly earlier this year. I love the small efficient shape of LORAC palettes, and this one was made even cooler by having holographic snakeskin print covering it. The six colors are a rather unique set, I haven't really seen anything else like this before. A soft yellow chiffon shade, with a bit of pinky opalescence. Red-brown duochrome, that flashes green. Black matte with multi-colored sparks. The shadows are very interesting. I love LORAC shadows, but it seems they never use they same formula, they're always changing and I never know what to expect. 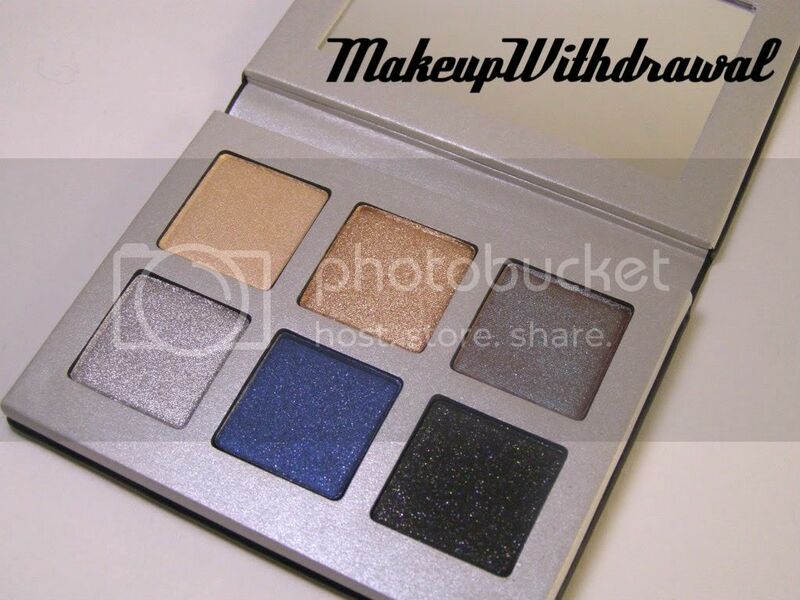 The single shadows are incredible, especially the mattes but the Private Affair palette was rather 'dusty' feeling. Now this palette is fantastic. All the shadows are super soft and fluffy. Calling them buttery would be an insult, they are more like mousse or whipped cream. They are very nice to work with. All in all, a fantastic set of shadows. There are so many ways I could use this palette, I've only begone to think of combinations that would look pretty. I think a lot of these shades would also make great supporting colors to other shadows I already own as well. Do you own any LORAC shadows? What did you think of them?